Discover how peer recognition can drive adoption of Jive and increase social collaboration. TemboSocial Recognition in Jive is a deeply integrated peer recognition program that engages employees, strengthens corporate culture, and makes your managers be better managers. By making employee appreciation highly visible and available anywhere in Jive, TemboSocial Recognition creates meaningful content that keeps people engaged. 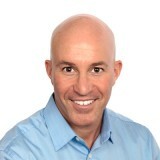 Andrew Kratz is the president and founder of Social Edge Consulting. He has spent his distinguished 20-year career overseeing strategic information technology operations for Fortune 500 companies. At both the Bank of America/Merrill Lynch and The McGraw-Hill Companies, Andrew led his teams through numerous enterprise-scale business implementations and deployments. He started Social Edge Consulting in February of 2012 to help businesses capture the synergy between their employees, partners and clients through social collaboration software. 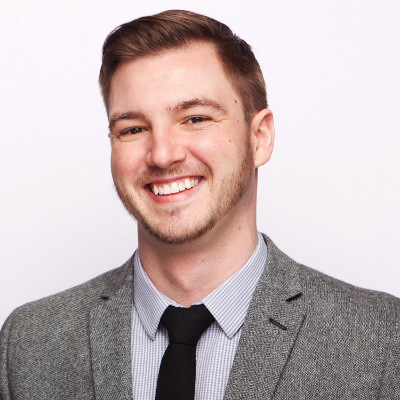 Brennan Kirby is an employee recognition expert with TemboSocial. Brennan’s work focuses on helping enterprise organizations harness the power of social business.TemboSocial Recognition in Jive is an employee peer recognition solution that’s integrated into Jive Places, Activity Feeds, Actions and the new Jive Profile Page. It's how companies like Royal Bank of Canada, BMW, and Greystone are magnets for top talent. Last week we attended a great event where we shared information and demoed our newest apps: Jive Daily, Jive Chime, and Jive Circle. Here's a summary of the apps and great resources for you to use. Big thank you to, Sandy Cook and James White for presenting and demoing the new integrated solutions. So, why did we talk about? What's the new trend? The modern interactive intranet for the modern employee brings with it a variety of great products to serve all the new needs that are out there. People use more and more apps on their mobile devices to get connected with friends, stay up-to-date, and get their tasks done. That's in their personal life but how do we address similar expectations in their work environment? Are these apps integrated with Jive n? Our Jive n 2015.3 cloud release provides a complete integration with the three new Workstyle apps. But not only that. As we showed in the session, these apps are integrated between themselves, to make employees happier and more successful with the tools and information that they need at their fingertips. How can I get the new apps to my devices? We were very happy to see the excitement in the room when we said that most of the products are for FREE! Jive Chime: Users can simply go to the App Store, Google Play, or www.jivesoftware.com/chime and get the app for free. Download it both to your desktops and your mobile devices to stay connected at all times. Thank you for coming. Please don't hesitate to contact us with questions and feedback. This morning I got some really sad news. Kristen Ritter, a good friend and huge social business champion just passed in a fatal car accident, not many details are known yet. For those of you who know Kristen, you know she was energetic, passionate and generous - and a force to be reckoned with in our (community) space. I know some of you in this space know her well and consider her a trusted colleague and friend, as I do, so I wanted to be sure to share this news and celebrate our friend. There are a handful of colleagues in the social space that I consider great personal, professional friends and Kristen was among that handful. When I was still in social strategy at CSC, and before I ever met her in person, she found me on Twitter and not just engaged me on social practices, but had the nerve to trash talk my Patriots! I met her for the first time IRL at the Enterprise 2.0 Conference in Boston June 2010. She was there on a mission to soak in every best practice she could, connect with those already in the space and doing her "final pass" research on her top vendor choices. She made friends easily and soon joined a network of many of us fiercely committed to change the way work gets done. She picked my brain - and so many other "early adopters" - about the space, about best practices and about JIVE way before she became a Jive customer. And when she became a Jive customer, she was an fierce Jive champion - and I know pushed Jive to be better. Kristen gave back to those who helped her and those that came into this space behind her. There was a time in my past role as social business strategist at CSC that I really needed help benchmarking some data for a tough conversation. Kristen responded without hesitation - she was just like that. At various points from there on we knew if the other emailed or texted it meant we needed help brainstorming a problem. She was that humble and generous. This hit me hard today. Really hard. I will miss you Kristen and I send thoughts and prayers to your family and friends. As many of us at Jive have already been sharing internally, from Elisa Steele to Tony Zingale to Kathryn Everest to so many others she touched, our heart goes out to Kristen and her family on this so very sad and tragic news. To not just me, but to so many of us at Jive, Kristen was a long time friend. Tony Zingale had made this comment when he learned of the news "she was the epitome of one of the original Jive advocates." I couldn't agree more. And remember. Pats over the Jets. Even in heaven.